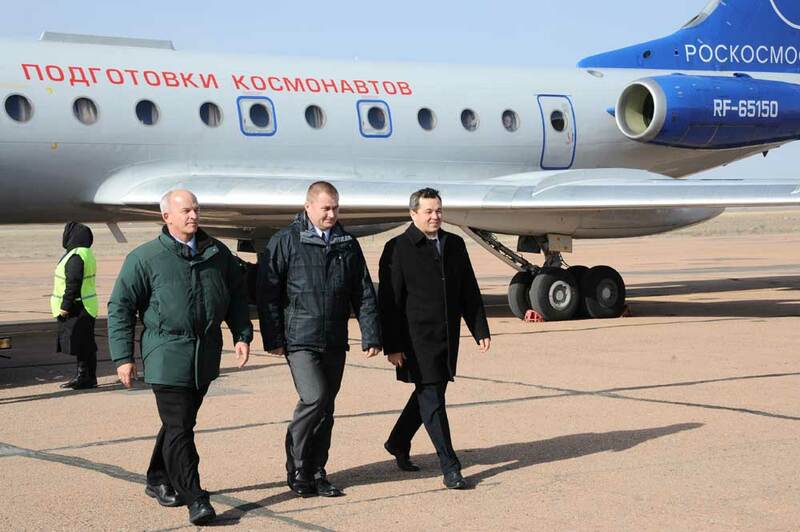 The next crew to fly to the International Space Station arrived at the Baikonur Cosmodrome on Thursday to enter their final two weeks of preparations ahead of liftoff atop a Soyuz rocket planned on March 18. 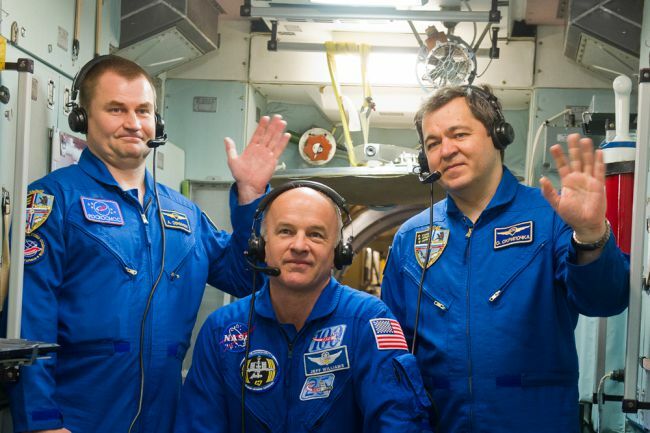 Soyuz TMA-20M will complete a six-hour overnight rendezvous to top up the Station Crew at six, bringing Alexey Ovchinin, Oleg Skripochka and Jeff Williams to the orbiting complex for a half-year stay. Soyuz TMA-20M is the last in the Soyuz TMA-M series of spacecraft, making room for the improved Soyuz MS that will make its first flight in June. Coincidentally, Oleg Skripochka was a part of the first Soyuz TMA-M mission in 2010 and will also fly on the last flight of this spacecraft type. The crew of Soyuz TMA-20M and ISS Expedition 47/48 was selected in January 2014 and completed a standard two-year training flow to prepare for their various duties aboard the Space Station. Soyuz TMA-20M is commanded by Aleksey Ovchinin, making his first flight to space after being selected as Cosmonaut in 2006. Ovchinin comes from a military background, having served as a pilot and pilot instructor at different aviation regiments and military institutions. 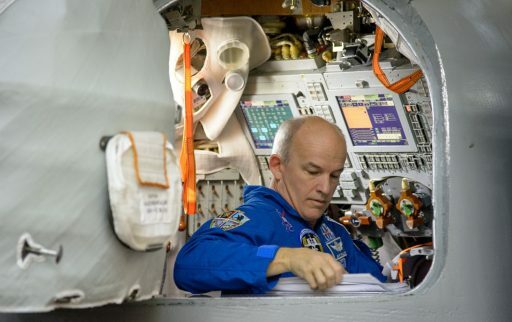 He was originally selected for the crew of Soyuz TMA-16M, but had to wait another year for his launch due to schedule changes related to the one-year mission to ISS. Oleg Skripochka was selected as a Cosmonaut in 1997 after earning degrees in aeronautical engineering and working for spacecraft and rocket manufacturer Energia in the development of ground support systems for crew and cargo spacecraft. He flew to ISS in 2010 for a 159-day stay as part of Expeditions 25 and 26, also completing three spacewalks, spending over 16 hours outside the Station. 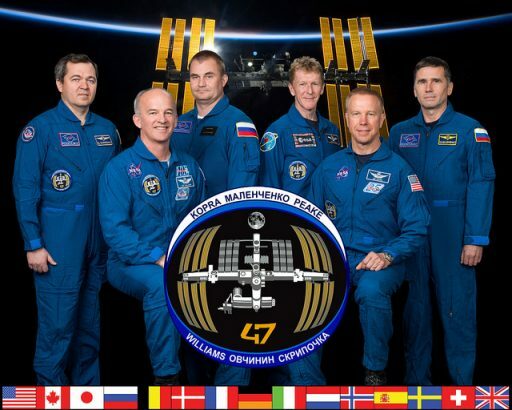 Jeff Williams is returning to ISS six years after his most recent long-duration flight. He worked as a Test Pilot in the U.S. Air Force in the 1980s & 90s and was part of an assignment at the Johnson Space Center where he worked within the Space Shuttle Program. He first flew on the Space Shuttle as part of mission STS-101, one of the early assembly missions to ISS when the complex only consisted of the Zarya and Node 1 modules. When he arrived for the Expedition 13 long-duration mission in 2006, ISS had grown considerably, morphing into a place in space dedicated to out-of-this-world research. His second flight began in 2009 and brought his total career time spent in space to 362 days during which he also completed three spacewalks. Having gone through extensive training operations at the various ISS partner agencies, the three Expedition 47/48 crew members and their backups entered a final training and examination campaign in Star City two weeks ago. These final exercises included Soyuz ascent and descent training in nominal and emergency modes as well as ISS Russian Segment simulations. Both crews passed with flying colors, being cleared to head to the Baikonur Cosmodrome for final launch preparations. While in Moscow, the two crews completed the traditional visit to Red Square and pre-flight press conference ahead of the farewell ceremony. 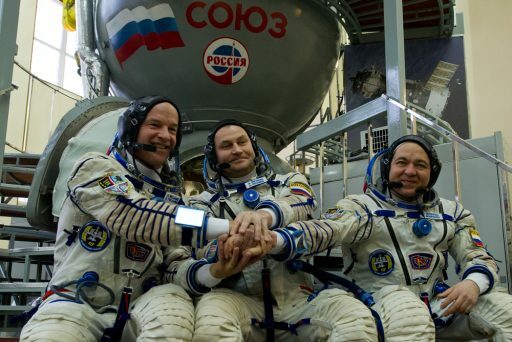 On Thursday, the prime crew and their backups – flying on separate planes, headed from Russia to the remote Kazakh launch site where they will spend the next two weeks preparing for the eventful start of their mission. The launch preparations flow at the Cosmodrome has become a well-oiled machine after over five decades of crewed missions, preparing crews to depart the planet. The Soyuz TMA-20M vehicle was delivered to the Baikonur Cosmodrome in late 2015 after its launch was brought forward, switching with the first Soyuz MS spacecraft. This switch became necessary due to delays in Progress missions in 2015 after April’s Progress M-27M mission, in turn delaying the maiden flight of the Progress MS spacecraft which serves as a test of the new systems introduced on the uncrewed Progress cargo craft as well as the crewed Soyuz. Mission Managers desired at least one complete flight of Progress MS to reduce risk for the first Soyuz MS. This prompted the swap in missions, accelerating Soyuz TMA-20M to March and pushing Soyuz MS to June – also allowing a second Progress MS to be tested in space. At the MIK processing facility, Soyuz TMA-20M was put through thermal and vacuum testing, ensuring that the spacecraft was holding pressure before being returned to the Spacecraft Processing Facility where a series of functional tests were conducted to verify all electronics were operational and the Digital Flight Control System worked as advertised. Flight Simulations were run in nominal and off-nominal modes to monitor the performance of the flight controls. Soyuz also underwent radio interference testing and specialized testing of the Entry Module. 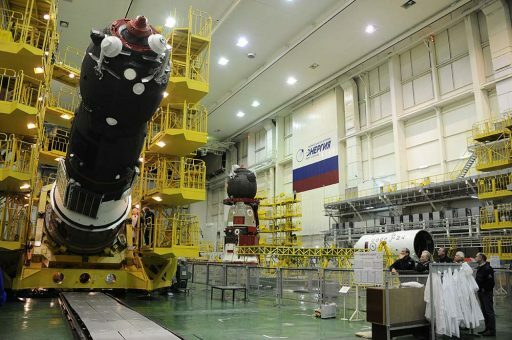 At the MIK 112 Launcher Integration Facility work has been underway to put the components of the Soyuz FG rocket through acceptance tests and assembly of the launcher started with the attachment of the four liquid-fueled boosters to the large Core Stage of the rocket. 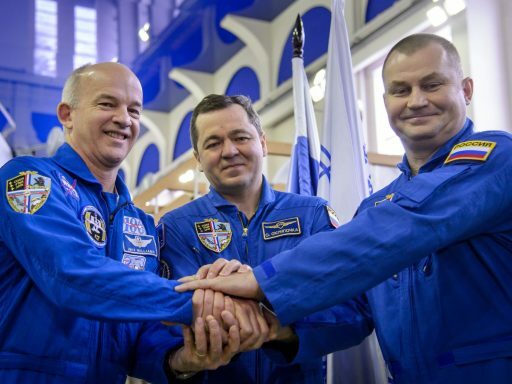 For the three crew members, work will get underway on Friday with a first visit to their Soyuz spacecraft to complete an ingress exercise and inspect the interior of their actual vehicle. 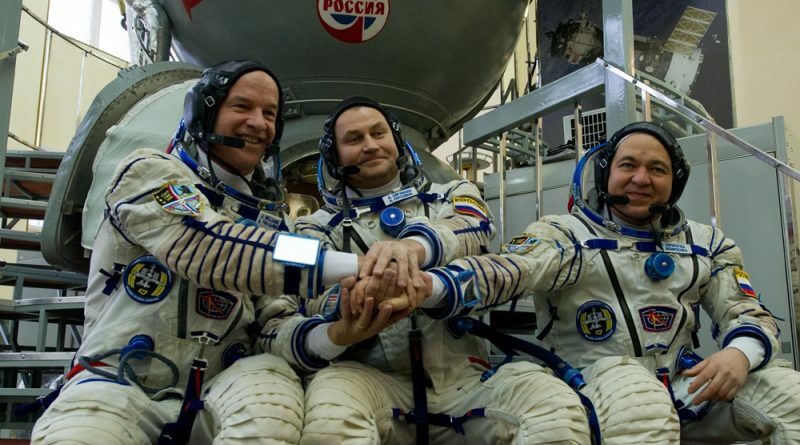 Later, the crew will put on their Sokol Launch and Entry Suits for a leak and fit check before participating in a suited-ingress, entering the spacecraft through the Orbital Module’s hatch and climbing down through the Entry Module hatch and entering their seats. This will allow them to get a feel for the situation onboard and they will conduct a launch simulation serving as a final exercise for them and the spacecraft. The Soyuz spacecraft will then move over to the Hazardous Processing Facility to be loaded with hypergolic propellants, pressurant and environmental control system gases. Later, the craft will return to the processing facility for final cargo loading, inspections and the installation of the launch shroud to set the stage for the integration with the Soyuz FG launch vehicle. The next week will be filled with a variety of activities for the crew – cargo inspections, procedure reviews, tagups with Mission Control and the crew in orbit, familiarization with emergency equipment, and medical checks. The Soyuz trio will participate in the traditional flag-raising ceremony and continue the tradition of planting a tree, first done by Yuri Gagarin ahead of his historic flight in 1961. Soyuz TMA-20M is currently set for liftoff on March 18 at 21:26 UTC, though the exact timing may shift slightly as it depends on the exact orbital evolution of ISS and the performance during a planned reboost on Saturday. The Soyuz FG rocket will provide the crew with a nine-minute ride into space, targeting an orbit over 200 Kilometers in altitude from where the Soyuz will climb by making a series of propulsive maneuvers to link up with the Space Station. Four burns will be made on the first two orbits followed by the initiation of the Automated Rendezvous Sequence on the third orbit to set the stage for docking to the Poisk Module of ISS just six hours after liftoff. 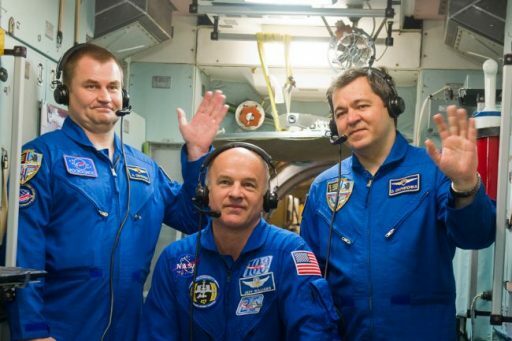 Docking after four orbits, the crew of Soyuz TMA-20M will join Expedition 47 commander Tim Kopra and Flight Engineers Yuri Malenchenko and Tim Peake for a busy three-month mission with plenty of visiting vehicle traffic and a packed science schedule.